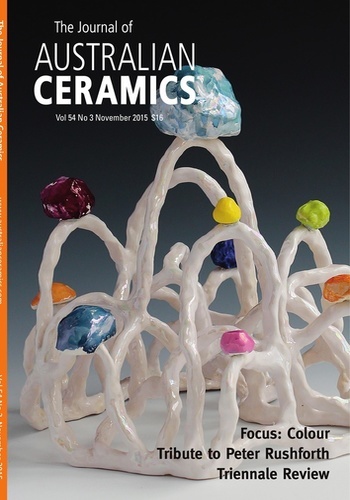 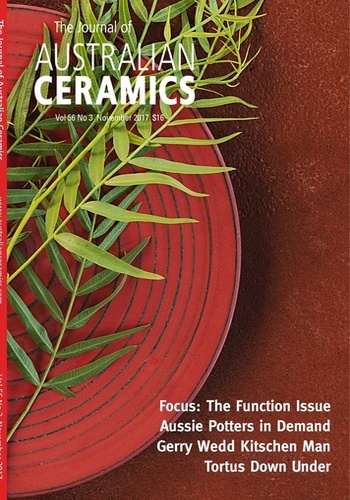 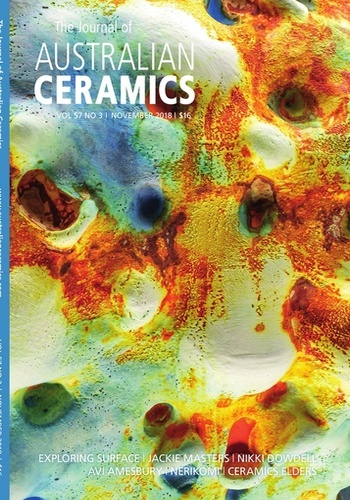 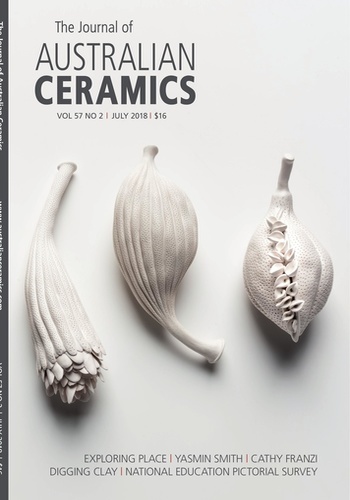 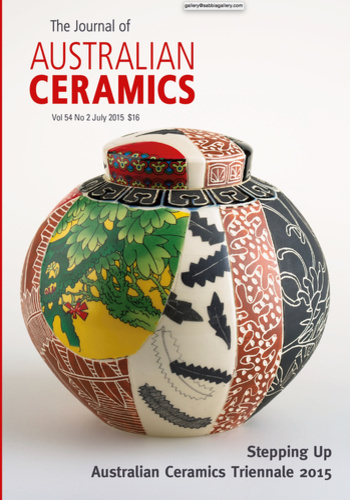 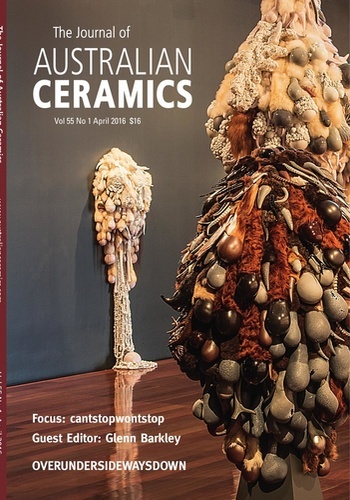 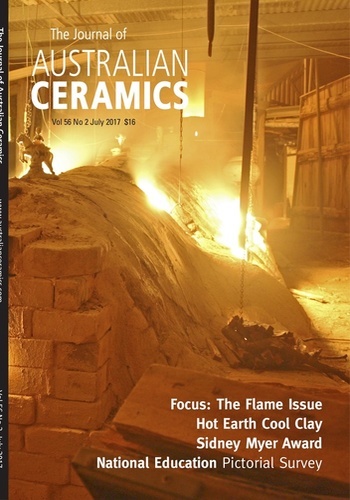 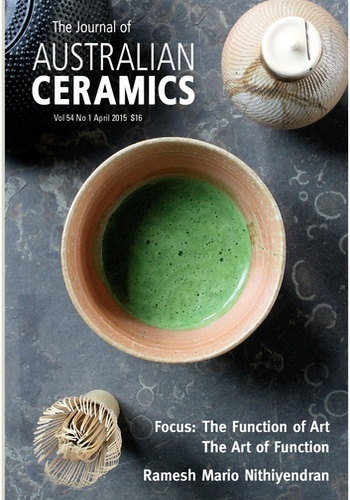 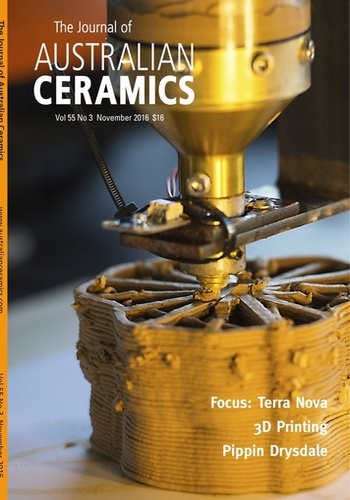 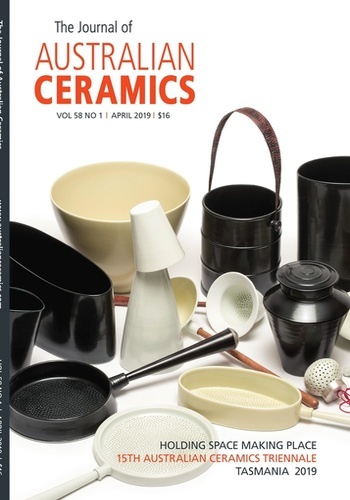 The Journal of Australian Ceramics (JAC), Australia’s most widely read tri-annual contemporary ceramics magazine, is a valuable resource for professional and amateur ceramicists, students, galleries, arts administrators, curators, buyers and passionate collectors. 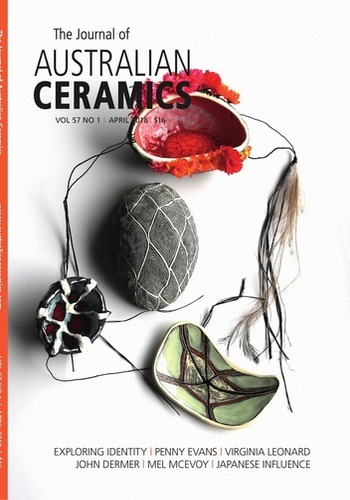 The Journal is a 128 page, full colour, contemporary ceramics journal, available in both print and digital formats. 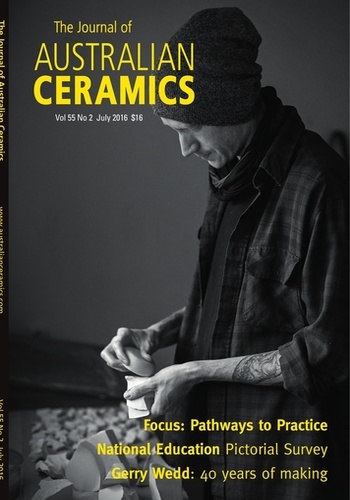 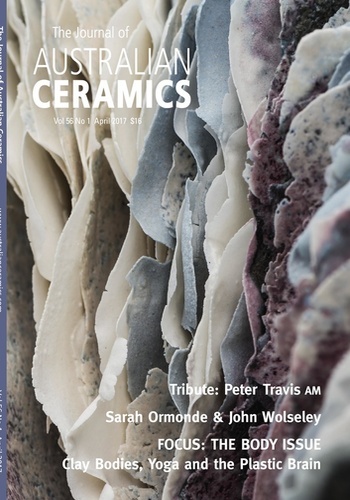 Published three times per year, it contains artist profiles, commentary and critical essays, exhibition and book reviews, information on tertiary ceramic education, workshop reports, technical advice, suppliers, new products, exhibition and gallery listings.